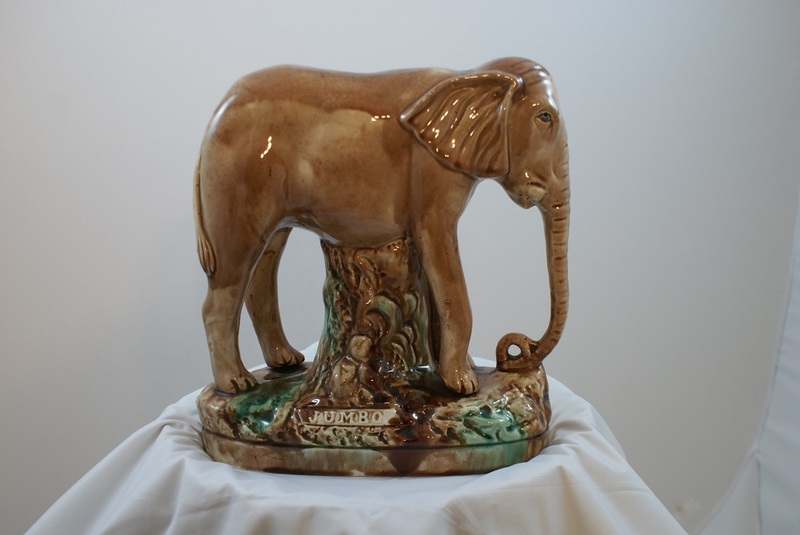 An extremely rare Staffordshire elephant, titled ‘Jumbo’, Circa 1885. 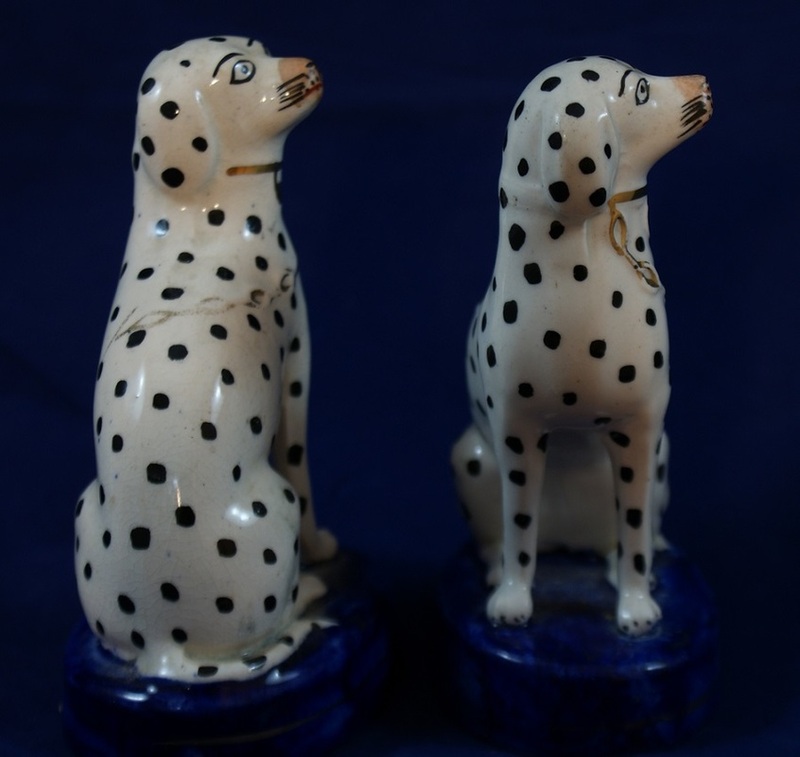 Price: £1,050 for the pair. 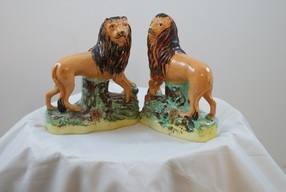 Opposing pair of Staffordshire lions, Circa 1805. 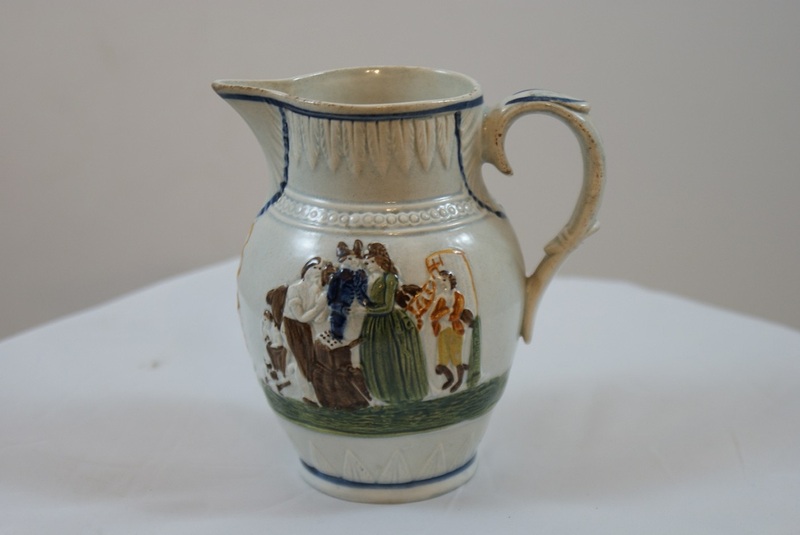 A good Pratt Ware jug, Circa 1795. 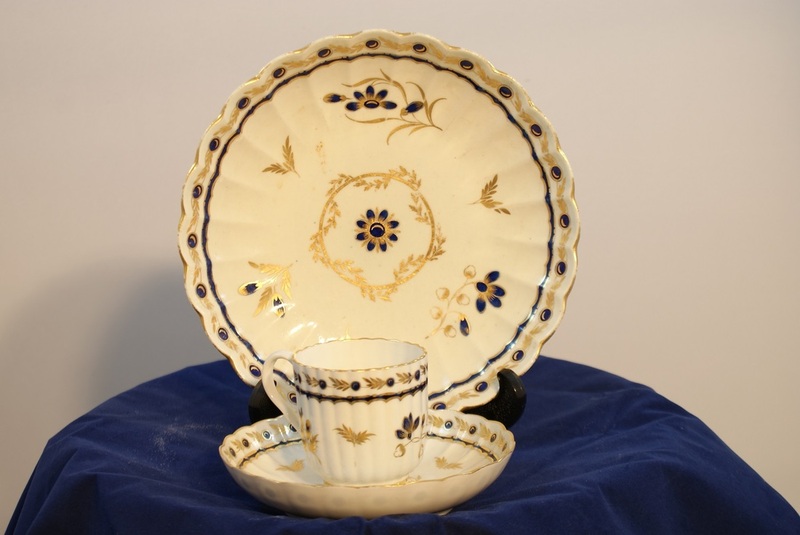 Creamware Stirrup Cup, Circa 1800. 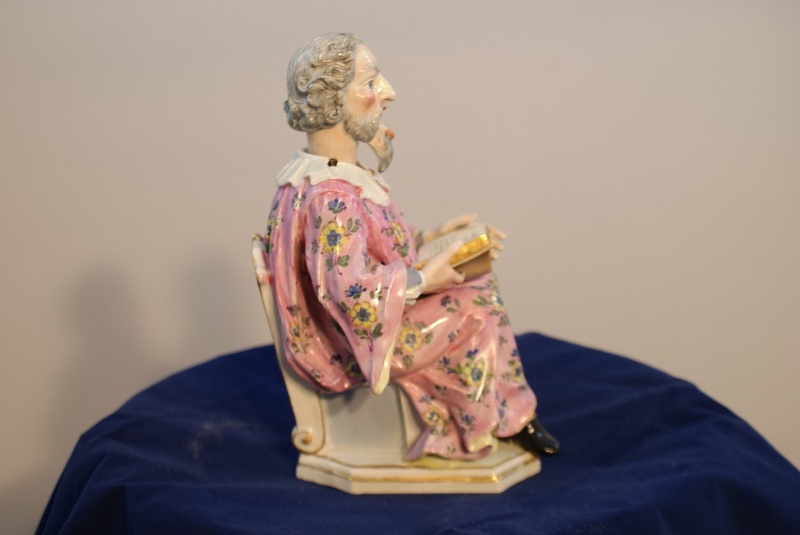 Unusual Meissen figure of a nodding bearded scholar reading a book, probably late 19th century with blue crossed swords. 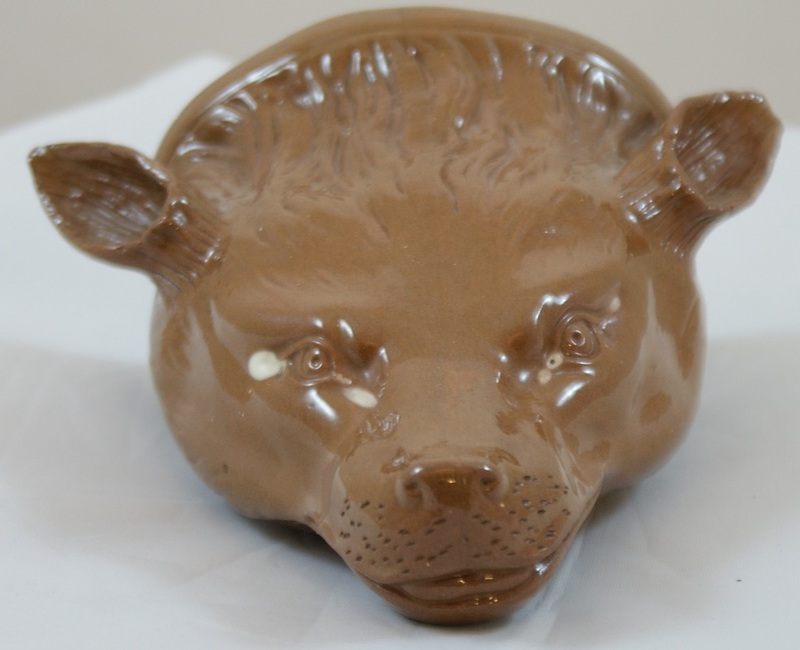 Blue and white pottery frog mug or loving cup. Pratt plaque depicting Bacchus with nymphs. 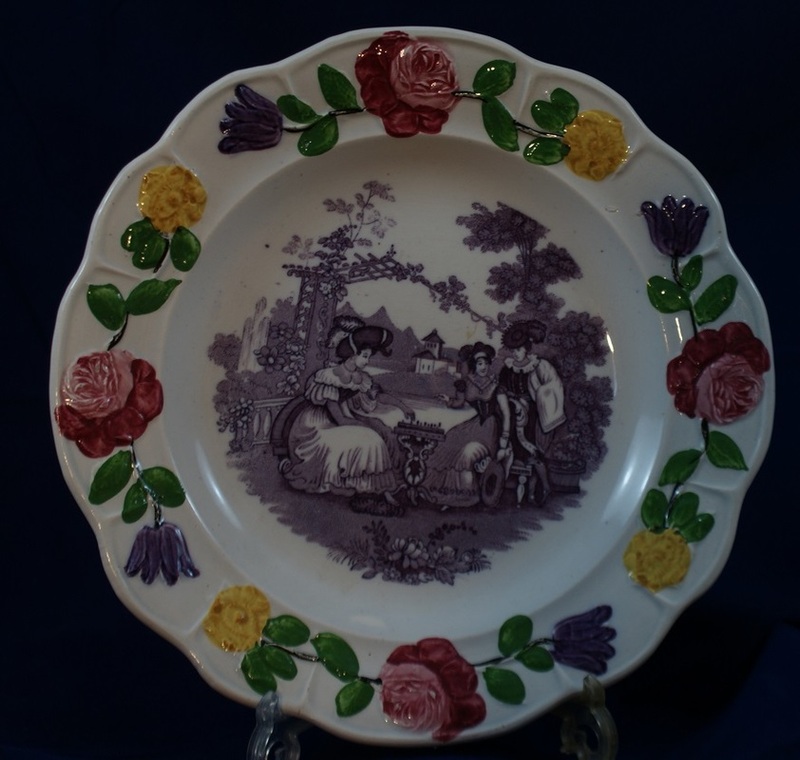 Sunderland purple lustre plaque with transfer print depicting The Mariner’s Compass. 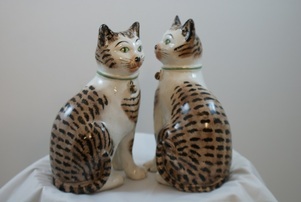 Extremely rare pair of Staffordshire Giraffes with their keepers. 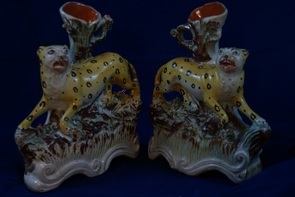 Extremely rare pair of Staffordshire Leopard spill vases on shaped gilt lined bases. 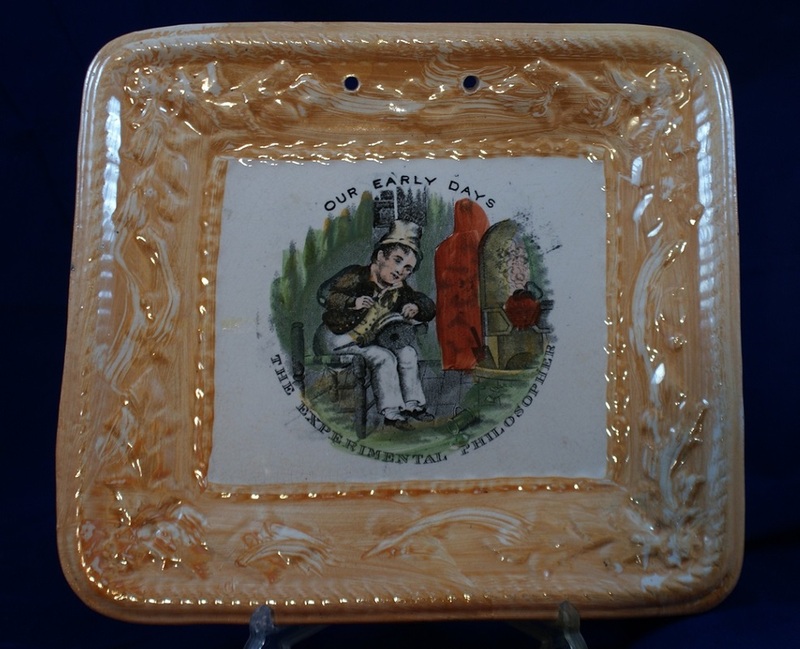 Pearlware Plate with rare depiction of couple playing chess.